Well hello again! Between a move, the end of our fiscal year at work, a trip to the Pacific North West (blog post coming soon! ), a wedding, and more, I feel like it’s been awhile since we last spoke. Despite missing my awesome parents, and no they didn’t pay me to say that, I’m so excited to be back in Arlington in my own place, which means I’m making dinner a few times a week and have tons of new recipes to share. They’re healthy and packed with filling protein. They take just 30 minutes to make, and only one bowl! 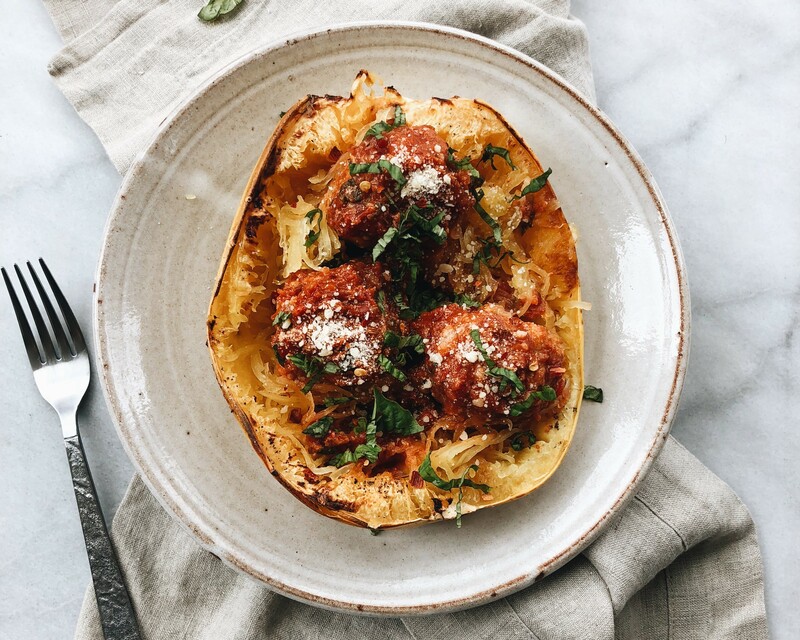 There’s so many ways to serve them (w/ garlic bread, spaghetti squash, gnocchi, all of the above….). They’re a great meal prep for the week, as this recipe makes easily enough for four meals. I know most of my posts usually have a ton of photos that show the process of making a recipe, but this time I wanted to try something a little quicker and simpler. By taking pictures of just the finished product, I was able to blog this in an hour instead of maybe 8. Which means more time for the important things like buying apartment furniture on Wayfair, aimlessly wandering the aisles of Trader Joe’s, making my roommate’s Bumble profile (ladies he’s single! ), etc. If you have an extra minute by the time you get to the bottom of this, could you let me know in the comments what you prefer: fewer blog posts with detailed photos and descriptions, or more frequent posts that are pictures of just the end result? Feel free to also write a food that you’ve wanted me to test out the best recipe for, and the most helpful comment I get I’ll test and write a post on! So with that being said, these are the finished product! They’re packed with flavor, juicy, are mess free (no oil splatter like regular pan fried meatballs have), and have a million different ways to eat them. 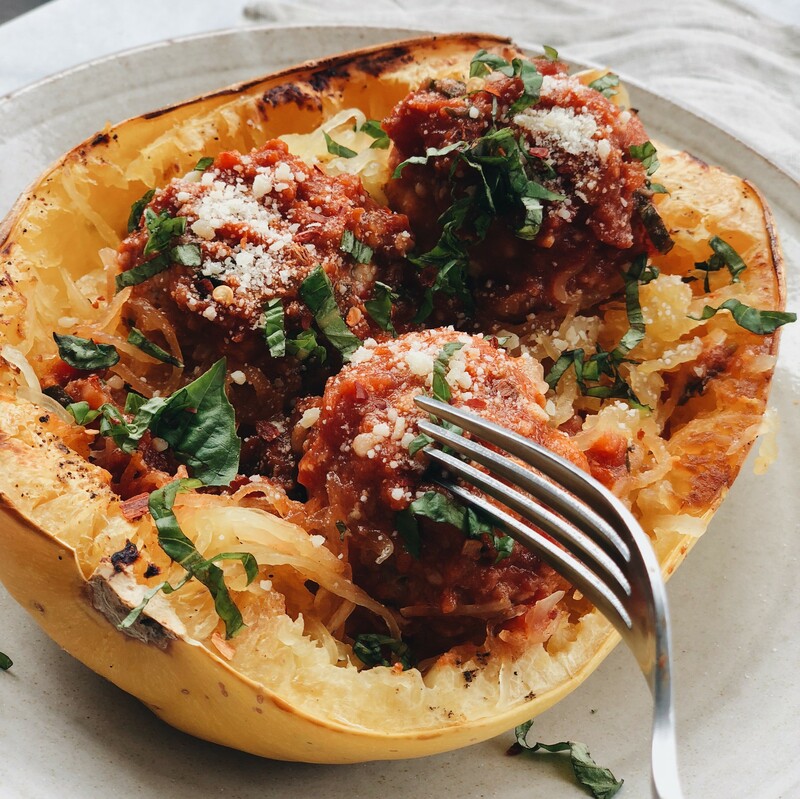 I like mine in a spaghetti squash boat, but also had them with gnocchi and sauteed spinach last night! Any way you try it, I know you’ll like these. Preheat oven to 400 degrees, and pour half the jar of pasta sauce into an ovenproof baking dish. In a bowl combine egg, breadcrumbs, ketchup, basil, onion, garlic, salt, and pepper until combined. Using a fork or wooden spoon, stir meat into seasoning mixture. Using your hands, shape meat into 2″ balls, and place in the sauce lined baking dish. Repeat until entire meat mixture is shaped. 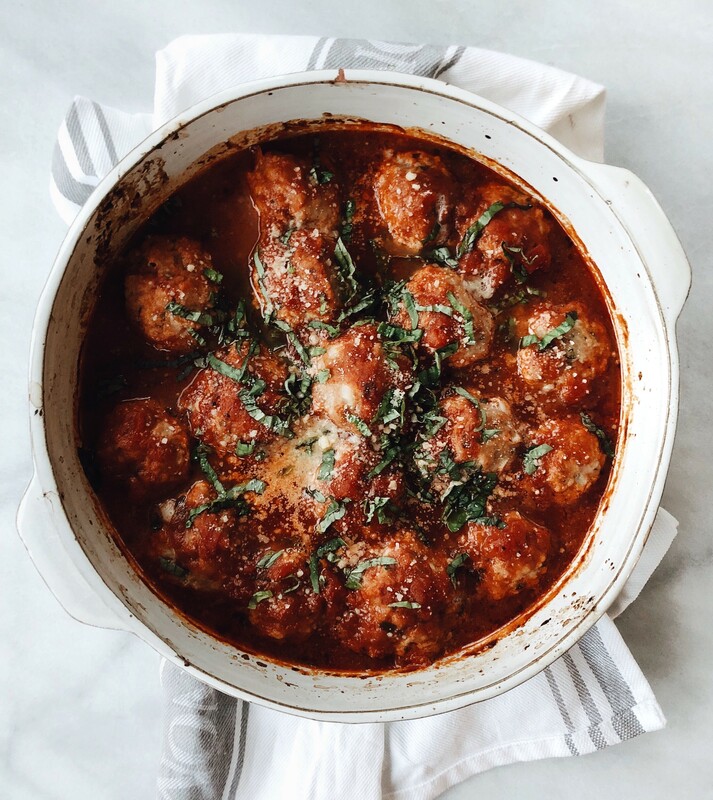 Pour additional sauce over meatballs, and bake for 15-20 minutes, until meatballs are cooked through and sauce is bubbly. Remove from the oven and serve warm topped with more basil and parmesan! First off, this recipe looks amazing and I can’t wait to try it out. Personally, I would like to see more frequent posts so I can be inspired to cook more exciting food, and also follow your awesome travels! On one of your last posts I saw that you have a super hot Indian boyfriend, and I was always told that the way to get a super hot Indian boyfriend is to make them Samosas and Butter Chicken. Could you blog about those dishes and also about how great Rishil is? 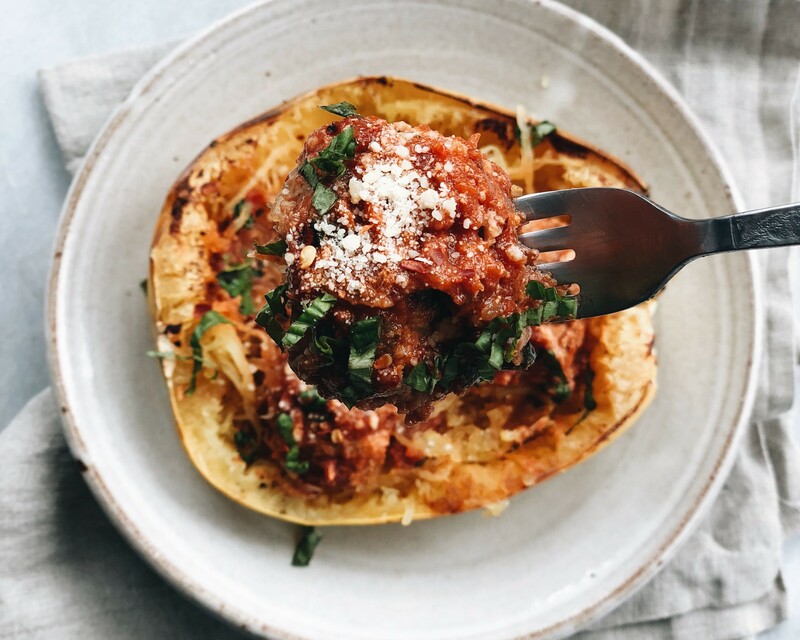 Great idea putting it inside spaghetti squash…I’ll have to give it a go! Love your pics & description of process details. Would love more frequent posts too. Either way I’m grateful you share generously. Thank You!! Your girlfriend looks better than Meliania, and she can cook!